In the 1950s American painter Richard Diebenkorn (1922 1993) took a dramatic turn away from his early work, exploring new vocabularies of both abstract and representational styles, which would come to be known as the artist's Berkeley period. This era has long been recognized as one of the most interesting chapters in postwar American art, yielding many of Diebenkorn's best-known works. 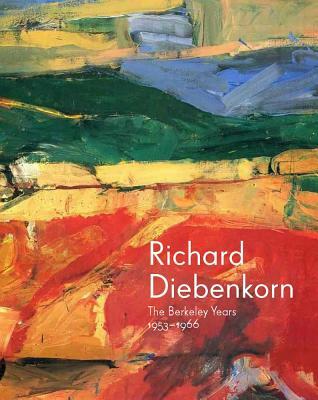 "Richard Diebenkorn: The Berkeley Years, 1953 1966" examines Diebenkorn's process and output during this decisive period. Three original essays explore the artist's evolving conceptions of abstraction and representation, emphasizing the interrelationships between the abstract paintings and drawings and related landscapes, figurative works, and still lifes, as well as Diebenkorn's ongoing interest in aerial views. Featuring several significant works that have rarely been on view, as well as previously unpublished photographs from the Diebenkorn archives, this important publication is the first comprehensive look at this critical period. Timothy Anglin Burgard is Ednah Root Curator-in-Charge of the American Art Department at the Fine Arts Museums of San Francisco. Steven A. Nash is executive director of the Palm Springs Art Museum. Emma Acker is assistant curator of American Art at the Fine Arts Museums of San Francisco.